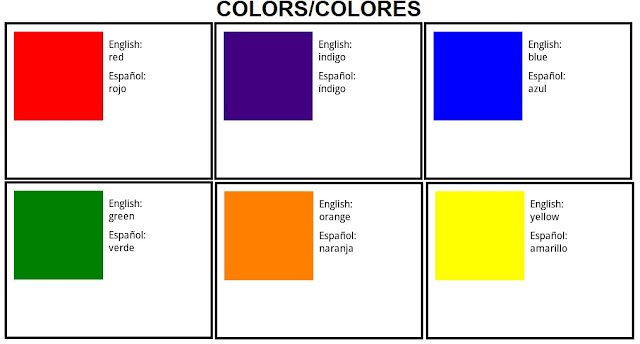 The program COLORES lets the user scroll through various colors (black/blanco, gray/gris, white/blanco, etc.) using the plus ( [+] ) and minus ( [ -] ) buttons. End the program while pressing the escape button ([Esc]). That’s all there is to it. Enjoy this program. Here are several programs from the “Bilbliotheque De Programmes” for the Casio FX-702P translated for the Texas Instruments TI-84 Plus CE. I understand that there is an English version of the book, but I have yet to find it online. I am thankful to Google Translate since I am not fluent in French. I named each of the programs FX702P##, starting with 02. Of course, use the program name that fits. Basic doesn’t translate directly to the TI-84 Plus programming language. First of all, there are no line numbers for the TI-84 Plus, separate labels had to be created. I added more descriptive lines to prompts and results strings because (1) the TI-84 Plus CE has a lot more programming space than the 1,680 bytes the Casio FX-702P offered, and (2) it helped me understand what the programs were. The reference page ties to the page in the document, not the PDF page. 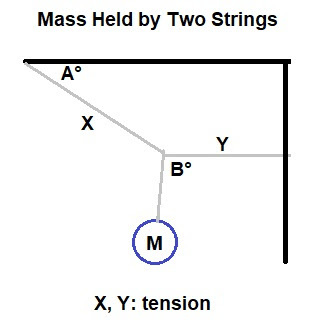 Disp "BEAM FIXED AT","BOTH ENDS UNDER","CONCENTRATED LOAD"
Disp "FLEXION (MM):"," ANGLE:"," TORQUE:","SHELL LOAD:"
You can find a PDF of the book in French on this page: http://casio.ledudu.com/pockets.asp?type=53&lg=eng . Scroll down to the bottom of the page. Also, shout out to the casio.ledudu.com page because it is an excellent site! I added several sections to the Big Math Reference document, which you can download on the right side of the blog. Can we find a general formula for a derivative of nth order? The above formula allows us to calculate the kth derivative of x^n, even when k is not an integer. The program NDERPOW calculates the numerical derivative of d^k/dx^k x^n. For this particular program, k must be an integer since non-integers are not accepted on the TI-84 Plus’ factorial function. Just like the last case, k does not have be an integer. The program NDEREXP calculates the numerical derivative of d^k/dx^k e^(a*x). We are working radian angle measure. NDERSIN and NDERCOS are numeric derivatives for sine and cosine, respectively. Note for NDERSIN and NDERCOS, the calculator is set to Radian mode, and K (order) should be an integer. I picked up a Casio fx-702P at a local monthly swap meet in Pasadena, which came along with a Casio FX-2 cassette interface and a FP-10 printer. Not bad for $15, which normally this would sell anywhere from $80 to $150 on eBay. My review will focus on the calculator. The Casio fx-702P is a landscape BASIC programmable calculator designed for storing up to 10 programs. The maximum amount of steps allocated is 1,680; which seem quite small compared to today’s computers. The set of scientific functions is nice: hyperbolic functions, linear regression (in the form of y = a + b*x), sign function, integer and fraction parts. Programs on the fx-702P can be printed using the FP-10 printer. As of this review I have yet to test the printer, other than providing it with four AA batters, the printer does turn on. Programs can also be stored to cassette tapes via the FX-2. I am assuming the connectors on the FX-2 can be connected to any compatible cassette recorder. The DMS allows results to be displayed in a degrees°minutes’seconds” format. DEG(degrees, minutes, seconds) converts DMS to decimal. A nice command is the SET command, where you can set the number of decimal places to be displayed. For example SET F4 sets the calculator to FIX 4 mode. Changing the angle measurement is interesting, you have to type in MODE and the specific number: MODE 4 for degrees, MODE 5 for radians, and MODE 6 for gradients. Subroutines can work within and between programs. Arrays and lists can be used, however, they come at an expense of an already low amount of programming steps. There is only one array and list name, which is A. A(i) first maps to the other one-letter variable names B-Z first. What surprises me the most is the lack of ROM or RAM cards for the fx-702P. There is no way to expand the number of steps on the fx-702P. On the surface, the Casio fx-702P looks like a good, clean keyboard. The keys are pretty responsive. The F1 (red) and F2 (blue) shift keys have a nice contrast. 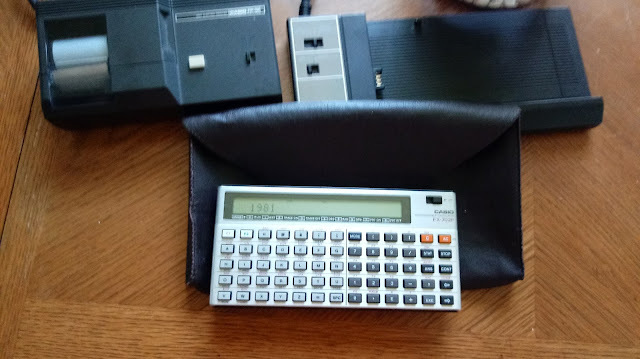 However, with the batteries I used, which were purchased from a swap meet, the calculator only lasted a couple days (total use I estimate to be an hour in those days) before the display went blank and the keys became unresponsive. Fortunately, using brand name batteries, like Duracell provides better and steady results. 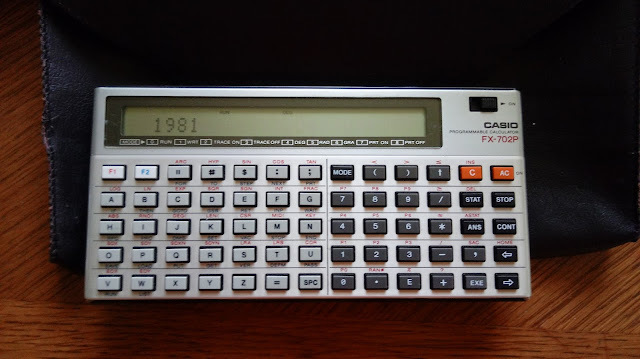 The Casio fx-702P is a good programming calculator and I understand why it is highly sought. If you want to own one, I would look for the best price. This blog entry is a demonstration using the Solve App to solve a variety of problems regarding projectile motion. 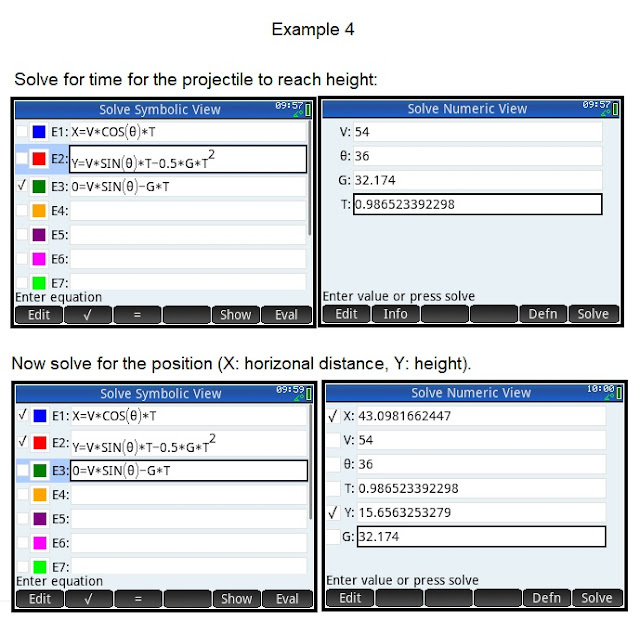 Go to the Solver App by pressing [Apps] and selecting the Solve application. If need be, clear all the equations by pressing [Shift] [ Esc ] and selecting (OK) at the Clear All Expressions prompt. 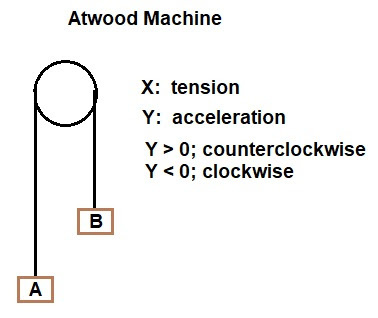 Right now, we are assuming that there is no acceleration in the X direction, the projectile starts at point (0,0), and there is no air resistance. Finally, put the calculator in Degrees mode, which the angle indicator will display ∠°. X = 0 and T = 0. Well, that went well. We have an obvious answer. What we are looking for is the distance traveled after the projectile has been shot. Fortunately, the HP Solve app allows us to provide initial guesses. The projectile will travel approximately 123 m in the x direction and it will take slightly after four and half seconds before impact. The projectile landed on a hill 125.15 m away with an elevation 3.10896 m (10.2 ft) higher than the starting point. You can clear the data variables with [Shift] [Esc]. 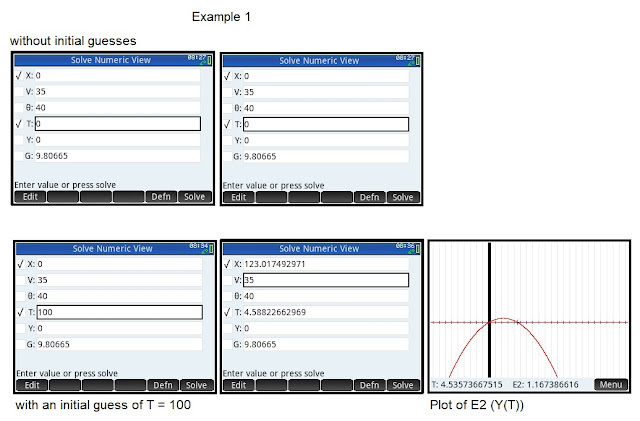 Since you are solving for V and θ this time, make sure only those variables are checked. Select θ, give it an initial value of 0, and press (Solve). 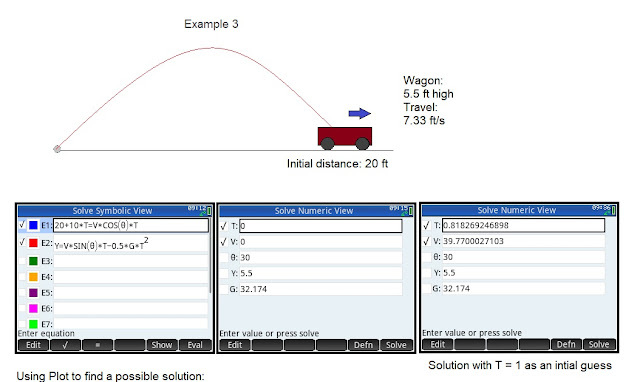 Find the required initial velocity (V) to land a projectile on a wagon moving at rate of 7.33 ft/s. The wagon is 5.5 ft high. The wagon is 20 ft away when the projectile is shot. Assume the projectile is shot at 30°. The first step is to modify equation E1. Since the X distance contains a moving object, adjust the left side to 20 + 10*T. 20 for the initial distance plus 10*T for the moving wagon. Note that there only five variables this time. 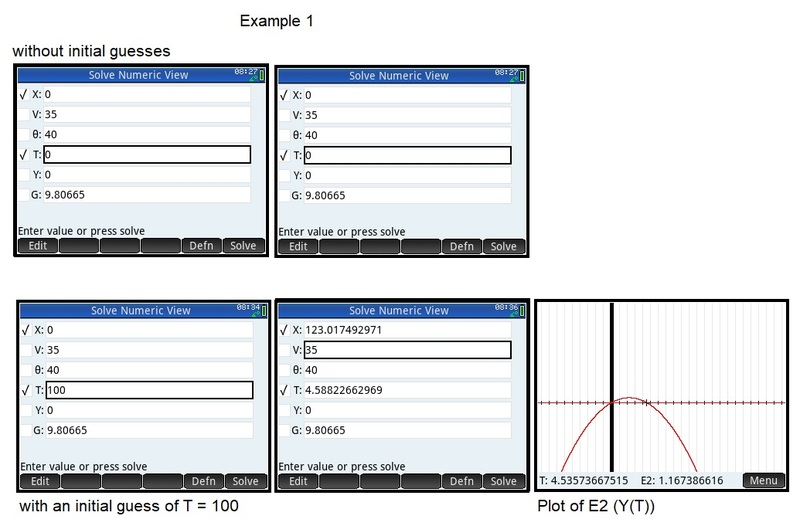 Select V and T to solve for. We want T selected because we don’t know what T is. Select T and enter 1 as an initial guess (actually, we really want a small positive number should do it, as long as T is not zero). . This means we should fire the projectile at about 39.77 ft/s and it will land on the wagon. What is the maximum height of a projectile found for a projectile shot at 36° at 54 ft/s? How far (horizontal distance) does the projectile would have traveled to get that point? The projectile reaches its height when the rate of the change in the y direction is 0. In calculus terms, when Y’(T) = 0 where Y’(T) = dY/dT = V*SIN(θ) – G*T.
Solve for T. The result is: T = 0.76305137487. It takes the projectile about 0.7630 seconds for the projectile to reach its height. 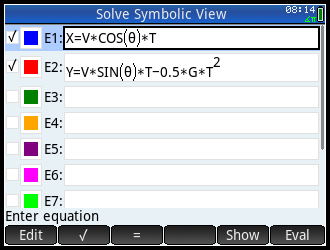 The next step is press [Symb] and select the equations E1 and E2. Now press [Num], select X and Y to solve for and press (Solve). The distance is about 43.0982 ft and the height is 15.6563 ft.